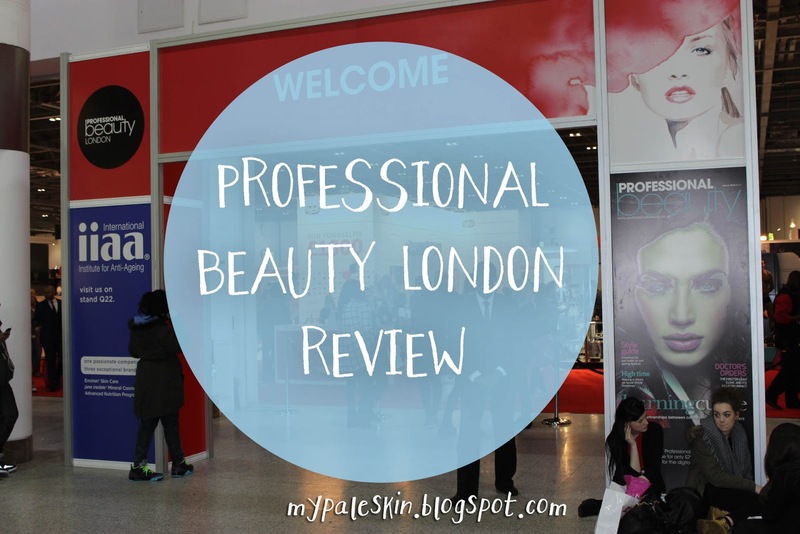 This week I headed over to the excel in East London for the Professional Beauty London show. It's the first big beauty show i'd ever been to, and I was super stoked to be going. I'd somehow managed to wrangle myself up a press pass, so I grabbed my camera, heels and lashes and off I went. I arrived at around 10:15 after vastly underestimating how many changes i'd have to make on the DLR to get there. The show was pretty busy even after only being open for 15 minutes. As the show was aimed at trade there were coach fulls of beauty students in attendance alongside hairdressers, make up artists and therapists. 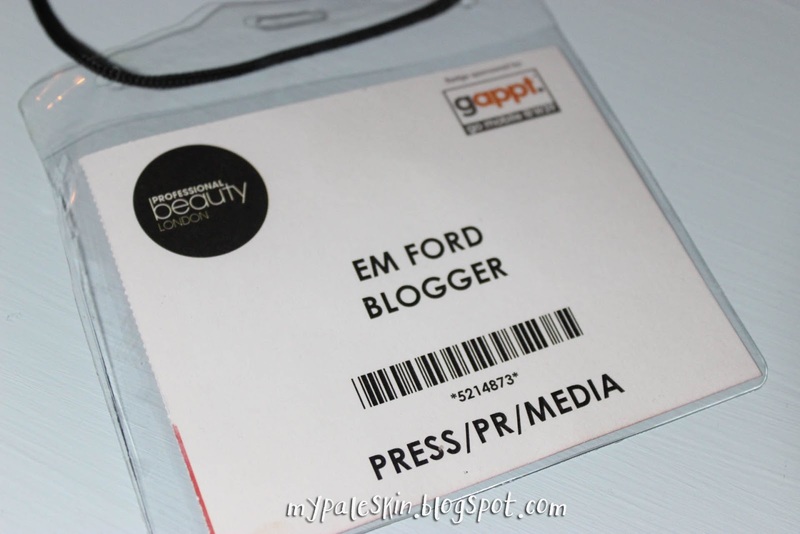 I didn't see too many other people wandering around with press passes or cameras which was a shame as it would have been nice to meet a few other bloggers at the event. The Excel had a stall for everyone. Here are a few that caught my eye! Oh my gosh all the colours. Any nail varnish fans would have loved this stall. Now i'm not sure why, but there's something about the idea of sitting in the middle of a trade show getting my teeth whitened for all to see that doesn't really fill me with joy. I think it might have something to do with having a small mouth, and whenever I go to the dentist it's always super awkward and uncomfortable. I wasn't sure what I thought of mega white at first. I thought it was a little silly. 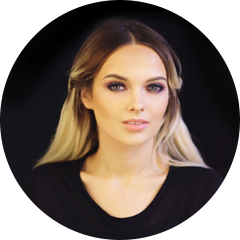 I wasn't prepared to pay £70- to a company to get them done and not read a ton of reviews on the company first... but after talking to Alice from http://www.beautybyalicee.co.uk/ on twitter about it... i'd never regretted not making an impulse decision so much! Her teeth whitened by 7 shades!! Gutted. Maybe next time i'll try it if I don't find somewhere to have them done before hand. It's not only teeth whitening that you can have performed at the Pro Beauty show. There were many many stalls that were offering semi permanent make up! and cosmetic tattoos! You could actually get your make up tattooed on in the excel. I don't know what I was expecting, but it wasn't expecting that! Now i'm an NYX fan. I love their jumbo eye pencils and am totally into using their Taupe Blusher as a contour powder; it's the perfect shade for cool pale skinned girls. I was looking forward to seeing a big display of their other products and not just a small unloved display in Next. The stand was insanely busy. It took forever to try and get around to see the different products and it's unsurprising why as the whole range was running on offer for up to 20% off! Needless to say, I picked up a few goodies. One of the popular stalls with the young crowd was Frankie Essex Hair. Essex, who made a name for herself on The Only Way Is Essex, or TOWIE as it's affectionately known by many is a scripted reality series based around the lives of a glamorous group of friends & foes in Essex. Frankie Essex Hair has a range of clip in hair extensions and hair bands suitable for many hair types. and colours. I really enjoyed my day at the Excel Centre. The show was incredibly busy and I didn't get to meet any other bloggers, but I made some great contacts with brands and I picked up some goodies,including some from jojoba cosmetics which i'm going to review individually. I got to see a lot of new and innovative products being demonstrated and even with my achey feet. It was definitely worth it. I'm definetly going to make sure I come back next year and I'll look forward to seeing what's on offer! 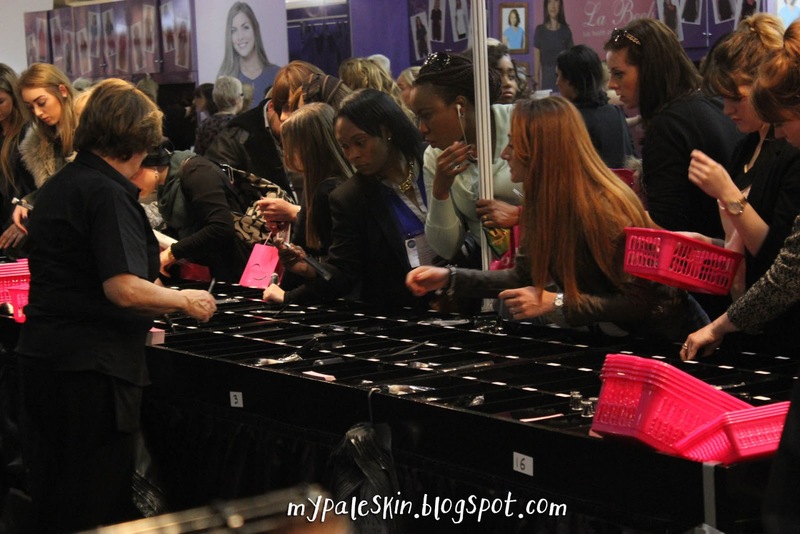 Did you go to the Pro Beauty Show? What did you think? I'll be posting up my haul over the next few days, so check back soon for pics! Breaking News! Sephora Now Ships to the UK! The Lust List! - February Edition. [Review] Beauty Protector Protect & Oil Review! Pale Girl Contouring... in GIF Form! A February Wedding Make up look! 'No Make up' Make Up.